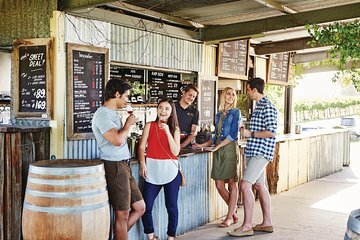 Enjoy the Swan River's scenery on a full-day tour from Perth that combines a river cruise with a Swan Valley wine and food tour. Board the spacious riverboat in Perth and sail upriver to the Swan Valley. Upon arrival, transfer to a coach to visit local wineries and food producers for tastings and lunch. After a leisurely spin around Swan Valley, return by boat to Perth with cakes and wines served onboard.